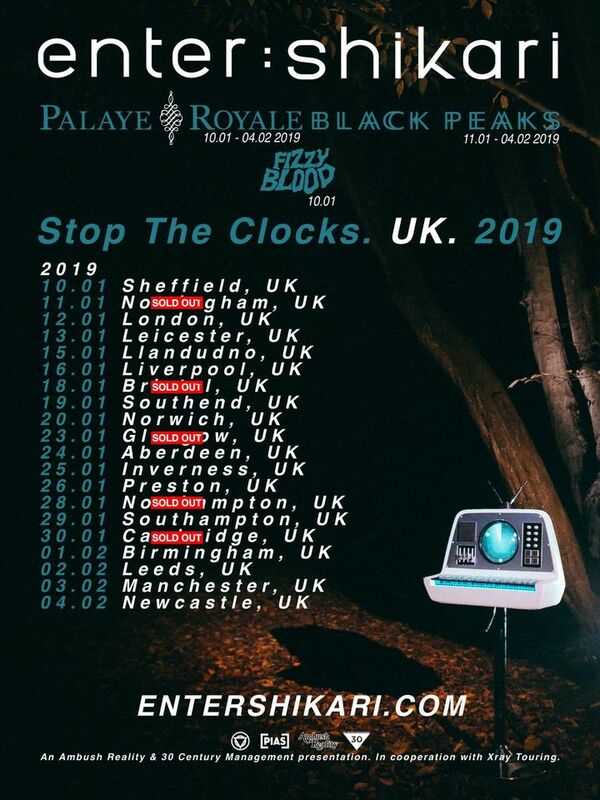 Not many tickets left for most shows, act quick! Une énergie sans pareil sur scène, une acoustique bien équilibré et une setlist qui traverse nombre de registres musicaux pour un moment inoubliable ! Enter Shikari is consistently one of those bands you wish you could see more often and would never be disappointed with their set or stage presence. Really great! I'm not a big enter shikari but that experience was amazing, great lineup with Mallory knox opening and a perfect setlist pointing out the best highlights of the band besides the take to the skies album!But all in all what made that experience so great was the interaction with the great audience there. Enter Shikari never cease to amaze. This was the 8th performance I have seen of theirs, and it just keeps getting better.